Based in St. Peters, Rentawebmaster.ca is dedicated to providing our clients with the highest quality workmanship possible. Over 14 years of solid training (practical and theoretical) in webmastering fundamentals. Level 1 and Level 2 Support Remote Technician with 10 years Cpanel/WHM experience. Expert user level with SSH as Root. Able to troubleshoot problems to resolution using shell and whm Experience troubleshooting email, DNS and other general support issues. Monitoring servers and responding to event notifications. (Service Down / Load Alerts etc) SSH / Bash knowledge, restarting services, checking server load averages and balancing loads, fixing permissions etc. Resolution oriented communicator via helpdesk, forum, email, live chat, and voip. Script installation and troubleshooting existing installs. 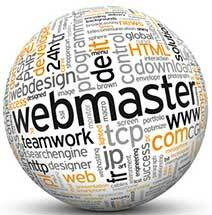 Webmaster with solid training in webmastering fundamentals. Develop and maintain a strategic plan for internet presence. Create enhancements and modifications to web site. Organize and maintain the site, Assess new standards, technologies and trends, and formulate strategies and plans for enhancing the sites; maintain cross-platform and cross-browser compatibility so that the web sites are accessible from a variety of different environments. Produce consistent visual images on sites by promoting uniform fonts, formatting, icons, images, layout techniques, and modularization. Determine appropriate compression techniques, resolutions, sizes, color maps, and depths to insure that images are delivered to the viewer at sufficiently high speed and quality. Link management and cross promotions with site affiliates. Diagnostics and debugging. SSI,HTML,Dhtml,FTP,CGI,PHP,Perl,E-Commerce, Visual Basic, Databases as well as integrating multimedia assets and applications into the site. Developing and maintenance of strategic plan for Internet presence. Extensive experience in enhancements and modifications to existing sites. Extensive background in short and long-term planning and execution of marketing strategies for both mass and target markets. Over 10 years experience writing corporate promotional content for diversified markets.